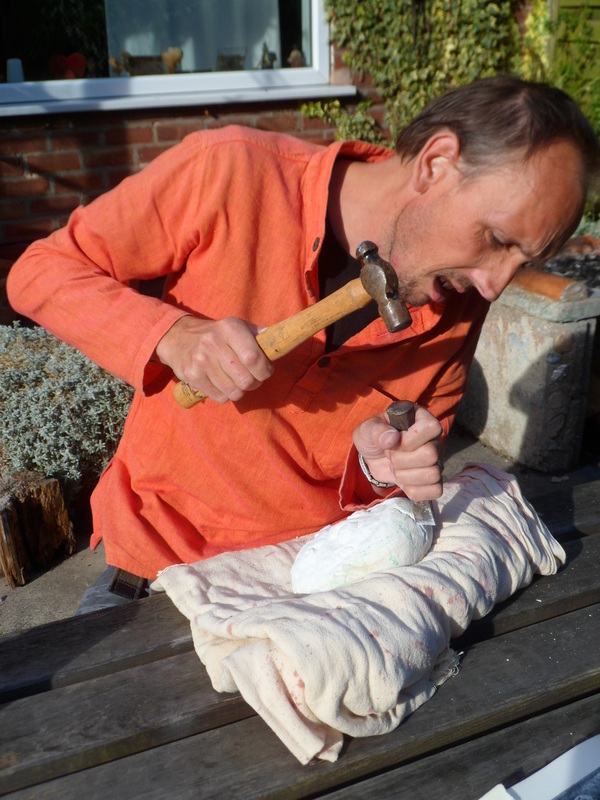 Paul/Fortunatus tried his hand at carving chalk, the softest of rocks and a material that turns up alot in Roman museums, particularly in Kent and in East Yorkshire. 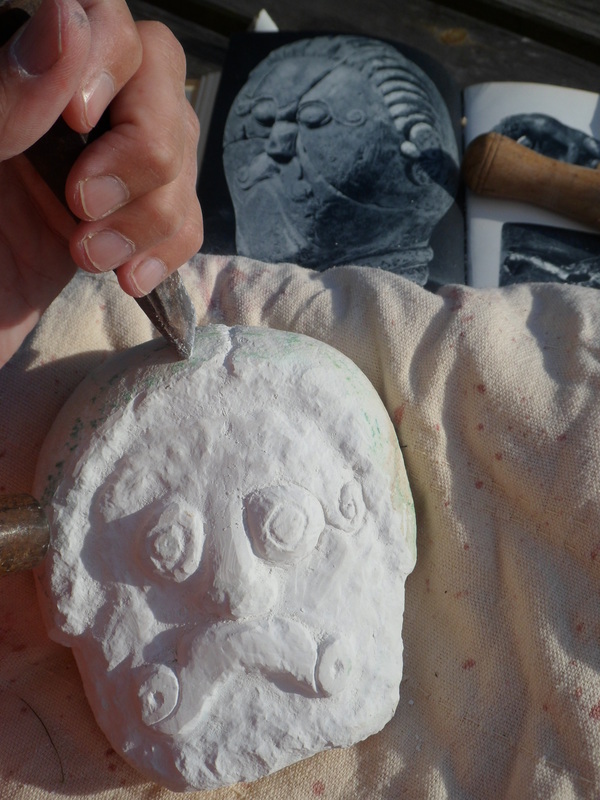 Small altars and figurines are often found carved from chalk, it is easy to work compared to harder stones, though it can be a bit unpredictable. This was Paul's first attempt. 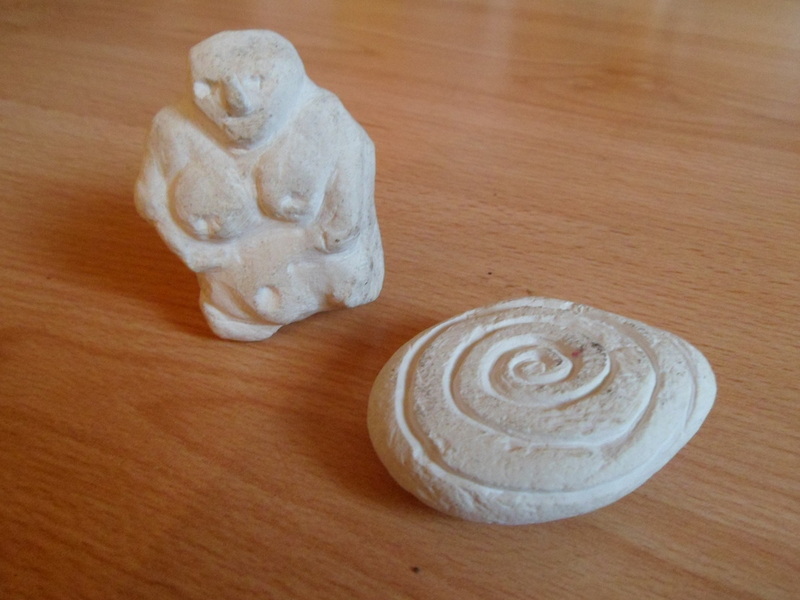 Paul first experimented with some smaller pieces, a Celtic spiral and a Neolithic mother goddess figurine. 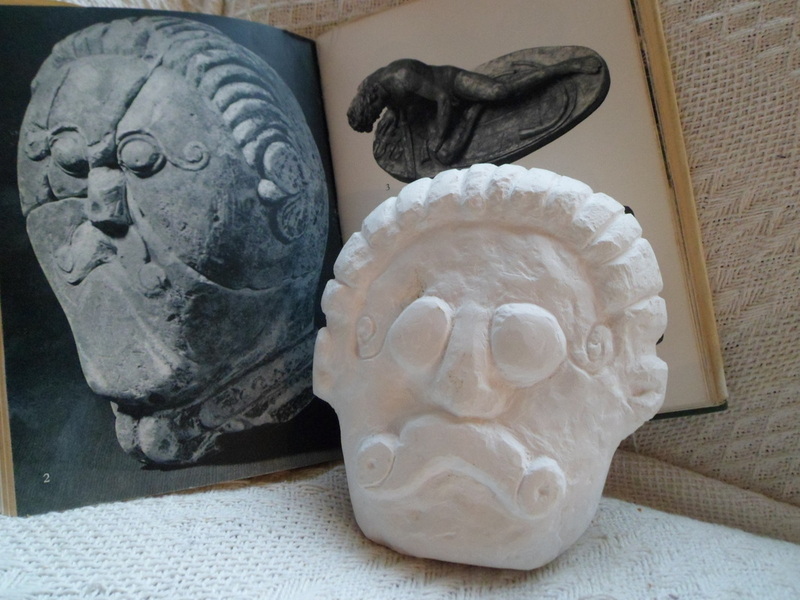 He found he could carve these using a strong sharp blade, like a fine screwdriver, rather than hammer and chisel.